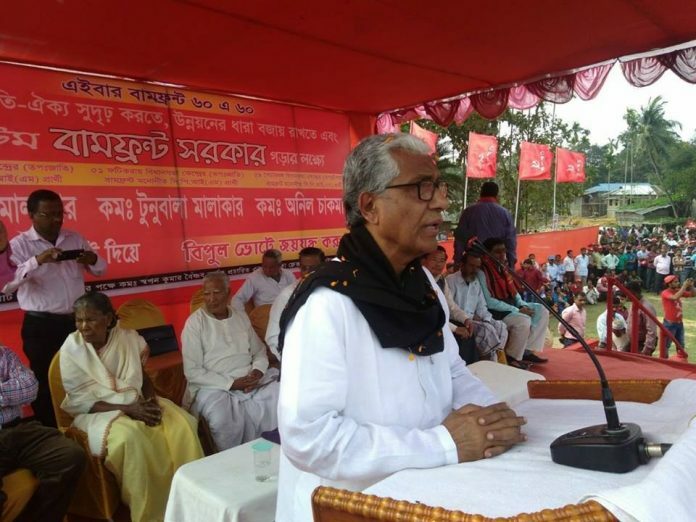 Despite CM Manik Sarkar’s clean image, voters see BJP as a possible alternative to the ruling CPI(M), claim state govt is turning a blind eye to corruption. 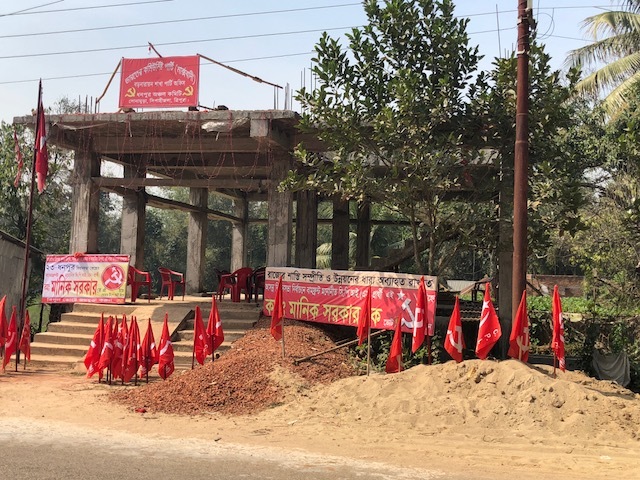 West Tripura/Sepahijala/Gomati districts: The CPI (M) office in Agartala’s Office Lane stands calm, unfazed by the ongoing election frenzy. The party, after all, has been used to coming to power in the state with ease for the past 25 years, with elections offering not much reason to get into frenetic activity. This election, however, is different. The BJP, which has been rapidly spreading its wings in the northeast, has set its eyes on one of the last remaining Left bastions of the country. The party is putting up a formidable and what could be a worrying challenge for the CPI(M). Many voters ThePrint spoke with see BJP as a possible alternative, which has exposed the vulnerabilities of Manik Sarkar-led Left government. However, the fact remains that the CPI (M) derives its strength from its cadres who are steeped deep into the state’s structures. Besides, Sarkar himself continues to be seen as a popular leader with a clean personal image. With an unemployment rate of 19.7 per cent — the highest in the country — the absence of jobs and industries in the state is dominating the campaign narrative. Further, slow pace of development combined with what voters see as a multiple-term incumbent that has institutionalised “top to bottom corruption” is hurting the CPI(M). “See your phone network, how slow it is here. The speed of the phone network and that of Tripura is the same,” says 38-year old Lokjeet Debnath, who belongs to CM Sarkar’s constituency — Dhanpur in Sepahijala district. “The world is developing at the speed of 4G, 5G and Tripura is stuck at the speed of 2G. There is nothing here — no jobs, no industries, no good healthcare facilities. All that is there is corruption and scams,” Debnath rues. In 2013, Sarkar won this seat by a margin of around 6,000 votes beating the Congress candidate. The BJP was nowhere in the picture, but the situation looks different this year. Abu Sarkar and Priyankar Dey, both BSc graduates, also want a change. “There is massive corruption under this government. For 25 years, they have done nothing for us,” says one of them. 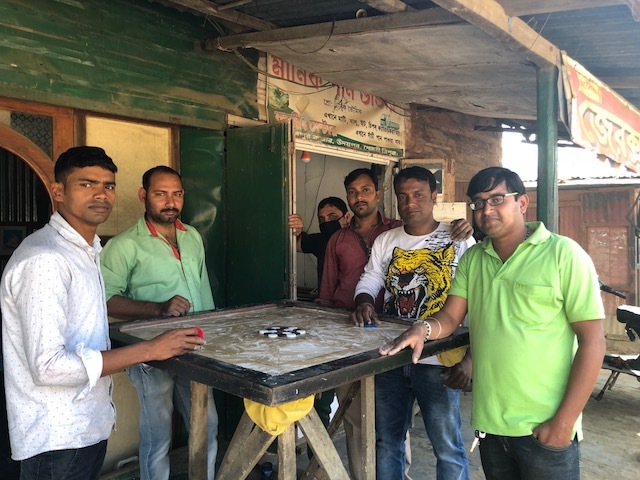 A group of young men playing carrom middle of the day in Gomati district say they want ‘change’ as there has been no job creation, development under the CPI(M) government. The state’s GSDP growth (2014-15) stands at 9.2 per cent. According to the Economic Review of Tripura, 2015-16, released by the state government, “Economy of Tripura is basically agrarian and characterized by high rate of poverty, low per-capita income, low capital formation, inadequate infrastructural facilities…” Poverty and unemployment are likely to be key factors in this election. Even government employees are unhappy being paid as per the 4th pay commission when the country has moved on to the 7th pay commission. And to top it all, the BJP presenting itself as an alternative under Narendra Modi is rendering the Manik Sarkar dispensation particularly vulnerable. “It has been 25 years, it is more than enough. We need change now; we want to give Modiji a chance,” says Ajitesh Das of Gokalpur village in Gomati district. “Look at us — we are playing carrom in the middle of a week day as we have no jobs. Look at our roads, water situation. It is all terrible,” Das adds. Deepali Singh in Rajnagar near Udaipur says they “haven’t got jobs, houses under government schemes or free gas connections under CPI(M) government”. “Modi will come and give us everything,” she says. Surendra Debnath in Agartala, the owner of a photocopy/printing shop, however, does not see any reason for change. “This government ensures peace and safety. Why change something that is working fine,” he asks. Khoken Chandra Dey of Nutun Nagar in Gomati district says “Modi is all about jumlas.” “Where is the Rs 15 lakh he promised. At least, Manik Sarkar delivers what he promises,” he says. The CPI(M), meanwhile, does admit there could have been more development and better job creation but hopes voters would “see through BJP’s wild claims”. “There could have been more development and better job creation, but despite this state’s financial constraints, so much has been done,” says CPI(M) politburo member Subhashini Ali, who has been camping in the state to campaign for election. “Tripura is the only island of peace in the northeast and people are very conscious of that. We don’t see BJP giving us a tough fight,” she claims. In the 2013 assembly polls, the CPI (M) won 49 of the 60 seats, Congress 10 and CPI one while the BJP drew a blank.